The continuous filament nylon loop mop is formulated to be virtually lint free. This special yarn holds the finish yet allows for a slow release to maximize uniform coverage. The zephyr nylon finish mop is the best tool to apply floor finish. 12.0oz mop weight. 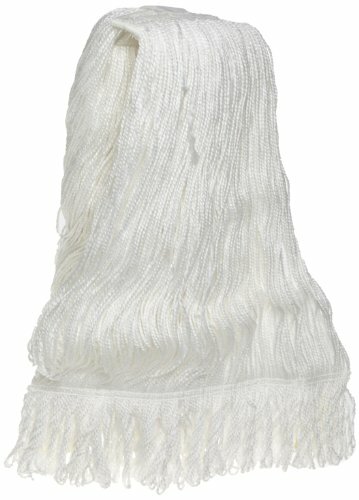 Nylon medium narrow headband finish mops head. 12 Mop heads per pack.